This work is done in collaboration with Infineon Technologies. 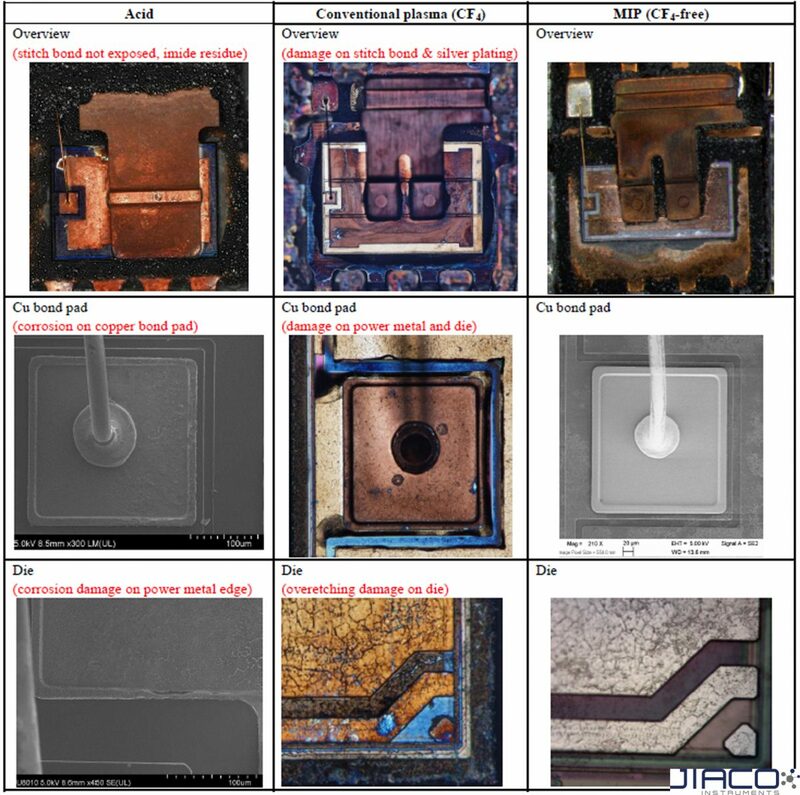 Failure analysis of automotive semiconductor devices requires highly reliable techniques to guaranty the success of artifactfree decapsulation with high repeatability and reproducibility. With the introduction of new qualification standards, new mold compounds, and new packaging structures, advanced decapsulation tools are needed to enable failure analysis to achieve a high success rate. Microwave Induced Plasma (MIP) machine has been developed as an advanced decapsulation solution. The CF4-free MIP etching ensures artifact-free exposure of bond wires made of new materials, the die, passivation, bond pads, and original failure sites. The high mold compound etching rate, high etching selectivity of mold compound to wire/pad/passivation/die, and the fully automatic process are the unique features of MIP decapsulation. Comparisons are made between acid, conventional plasma with CF4, and CF4-free MIP decapsulation. Multiple case studies are discussed that address challenging automotive semiconductor device decapsulation, including bare copper wire, copper redistribution layer, exposed power copper metal, stitch bond on silver plated leadframe, complex mold compound, Bond-Over-Active-Circuit, eWLB, and localized decapsulation.